Let's get together this Fall for a great pre-Christmas cruise on the cruise line voted by the members of Cruise Critic as the most Romantic Cruise Line at Sea . . . . Princess. Princess, as many of my older readers will recall, was the model for the popular television series, The Love Boat. Who can forget hearing the weekly announcement, “This Is Your Captain Speaking . . . Welcome Aboard the Love Boat, we're about to set a course for adventure and your mind on a new romance.” I think America must have fallen in love with Captain Merrill Stubing (Gavin MacLeod) and the rest of the cast. That show, probably more than any other single event started a love affair for cruising for many people. I can still hear my mom saying, "One of these days I'm going on that ship." She never did but I have more than made up for it. As a Princess Commodore I had the privilege of meeting Captain Stubing (he is a spokesman for Princess Cruise Line) at a meeting a few years ago. 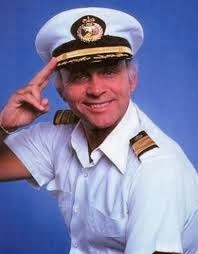 I assure you is in real life everything that made the "Captain" so appealing to the Love Boat" fans. Well cruising and cruise ships have come a long way since the days that the officers of the old Pacific Princess sailed the waters off the California/Mexican Pacific coast. The original Pacific Princess is being dismantled for scrape in Turkey. 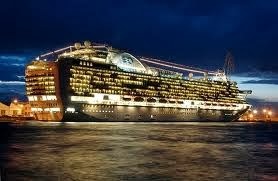 But fear not, there is a bigger, more magnificent, more entertaining cruise ship in a port near you. In fact, Texas Cruise and Travel (my Travel Agency) has space blocked out for our clients on to sailings of the Emerald Princess this Fall. These are especially designed for our friends and neighbors who live within driving distance of Houston, Texas. As you know airfare can pretty much double the cost of a cruise and so if you live in Texas, Louisiana, Mississippi, Oklahoma or Arkansas we may just have your "Love Boat" awaiting your arrival at Houston's Bayport Cruise terminal. Sunday, December 7, 2014 and December 14, 2014 Texas Cruise and Travel has space reserved aboard the magnificent Emerald Princes at special pricing available that will only be good for a limited time. These cruises will be roundtrip out of Houston's Bayport Cruise Terminal near La Porte, Texas. First two days are "Sea Days" and on day three (Wednesday) we will arrive at Roatan, Honduras. On Thursday we will arrive at Belize City, Belize. On Friday we will visit Cozumel and then head back to USA. We have cabins reserved in every category. All prices are per person and based on double occupancy and DO NOT INCLUDE gratuities and transfers. Deposit Due at Booking is 20% of cruise fare. If you need round trip transfers from airport to ship the cost is $48 per person. All cabins can accomodate up to 4 persons. If you would like more information or to book space on oneof the two fabulous pre-Christmas cruises visit our event page on Facebook or email us at Texas Cruise and Travel. Norovirus on Cruise Ships: What You Need To Know. Today I want to look at something that has recently been sensationalized in the news. This is not the first nor will it be the last time that news media, particularly television news, has like a dog with an old rag, latched onto this and not let go. Seems these things become headlines every time it happens. I am talking about Norovirus on Cruise Ships. For some reason the Media seems to have a bias against cruise vacations. Recently they reported for a week about the outbreak of Norovirus that affected 600 people on a Royal Caribbean Ship out of New Jersey and this week it is a Princess ship out of Houston that had fewer that 200 people sick. What they didn't tell you is that on the Princess ship more than 4,000 people DID NOT get sick. The first thing, I suppose, we should do is tell you exactly what the Norovirus is (newest strain is called It is called GII.4 Sydney). It is an digestive tract virus that causes your stomach or intestines or both to become inflamed. In many cases the patient is told by their doctor they have acute gastroenteritis. This leads you to have stomach pain, nausea, and diarrhea and to throw up. 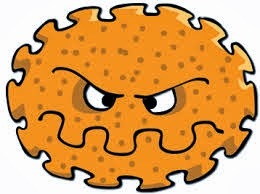 It is a very contagious disease and can be caught through contact with other people, contaminated food or water or by touching infected surfaces. It is sometimes called food poisoning although food poisoning can be caused by bacteria/germs. times in your life. Norovirus is a serious illness and can be especially problematic and dangerous for young children and older adults. According to the Center for Disease Control, "Norovirus is the most common cause of acute gastroenteritis in the United States. Each year, it causes 19-21 million illnesses and contributes to 56,000-71,000 hospitalizations and 570-800 deaths." I should add that the vast majority of these outbreaks and cases are not on cruise ships. 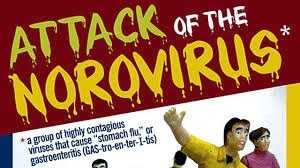 In fact according to the Center for Disease Control (CDC), "Healthcare facilities, including nursing homes and hospitals, are the most commonly reported places for norovirus outbreaks in the United States and other industrialized countries. 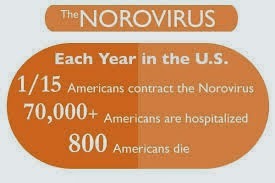 Over half of all norovirus outbreaks reported in the United States occur in long-term care facilities." Other places where the virus may break out is in restaurants, schools, banquet halls, summer camps, cruise ships, and even at family dinners. For some reason Cruise ships are the only ones who are required by law to report them. Believe me, I understand that an outbreak of Norovirus can ruin your cruise vacation. I also know that the cruise lines may not always be innocent when the virus breaks out on one of their ships. However, I also know that in most cases it is not their fault. It is not to their advantage in any way to have an outbreak on one of their ships. That's why they work so hard at ship sanitization. What most passengers do not realize (blame the media for not telling them) is that most cases of Norovirus on a cruise ship are brought onboard by an infected passenger and does not arise from the ship itself or the food served aboard. Wash your hand thoroughly and often with warm soapy water. Avoid foods that are not cooked to an internal temperature of at least 140 degree. 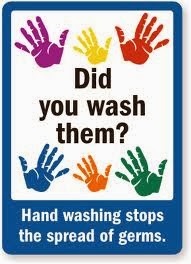 Use Alcohol-based hand sanitizers when soap and water are not available However, they should not be used as a substitute for washing with soap and water. Do not prepare food for others (especially children & elderly) when you are ill.
Keep the surfaces you touch frequently clean and sanitized. We always take a container of sanitizer on our cruises. You can also ask the room steward for some as well. Make sure clothes are washed in the event someone with the virus has coughed or sneezed around you. Remember the best way to prevent catching or spreading the Norovirus is to practice proper hand washing and general cleanliness. Having said all this the question still remains "How much at I risk am I of catching the Norovirus by going on a cruise?" The answer is, "Not much!" The odds of your getting ill with the Norovirus on a cruise is very low. Last year between12-13 million people enjoyed a cruise vacation without incident of any kind. Out of these millions of people who cruise every year only a few hundred ever get sick with a virus of any kind on their cruise. Many of those who did get sick with the virus did so because someone (perhaps several) people were already sick but just not showing symptoms when they got on board and then shared it with their fellow cruisers. I believe you are putting Granny more at risk of Norovirus by putting her in a nursing home than on a cruise ship. 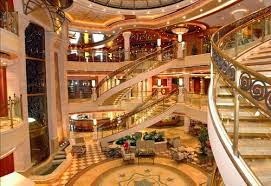 By the way, the cruise ship is cheaper, the food is great, the service is better and Granny will enjoy it more. Wish my kids would retire me to a cruise ship. Seriously, I have been on cruise ships since I was a child. Took my first cruise on the Old Queen Mary in early 1950's and will be taking two cruises in 2014 and to date neither myself or anyone sailing with me has been sick with Norovirus. One or two over the years and especially early on got sea sick. Even that doesn't happen much anymore. All we took away from our cruises has been some new friends and great memories. 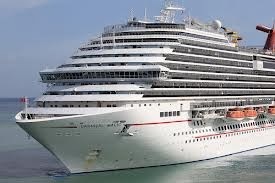 Give us a call and book with me on one of the cruises we have space blocked and have a terrific cruise vacation. Can't guarantee you won't get sick but am confident that you will have a terrific vacation. One of those will be on the Emerald Princes in December out of Houston and the Other on the Carnival Magic in April out of Galveston. 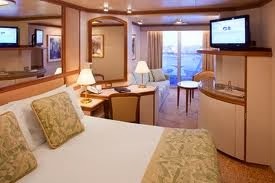 Here is a little tasy of what happens aboard a Princess ship. Join us on one of our cruises and just follow the advice above and everything should be as my Aussie friends would say "Apples."